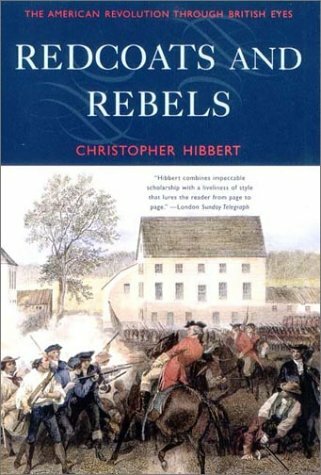 Redcoats and Rebels, by Christopher Hibbert, is the first history book I’ve read about the Revolutionary War. Perhaps it’s just Hibbert’s masterful telling of the story, but I found this book to be the most interesting history book I’ve ever read. With clear, easy to understand sentences, Hibbert vividly paints a picture of life during the Revolutionary War, and explores many factors that explain why the British lost the war. While studying US History in school this year, I picked up this book from a friend’s house, thinking that it could possibly help me with my History class. I soon was thrown into an exciting tale of the war, told in chronological order. Although Hibbert gives accurate details of the battles, what really sets this book apart is the stories; the personal lives of the generals, the friction between officers of the British High Command, and the dedication of the American army and everyday people. The book includes several pictures and paintings that offer a glimpse of eighteenth century America. Hibbert’s plain, unvarnished description of what people went through lets you connect with the average person in the colonies, and feel the rage they felt at the taxation from the British, and understand the reasons behind that. Importantly, the book is mainly about an angle not seen much: the American Revolution through British eyes. 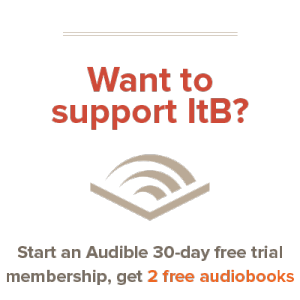 Most of the book is told from the perspective of one of the British generals, and details vividly their struggle to lead an army in a war with inadequate support from home. Often the British command suffered through many complications, as Britain was forced to reexamine the state of its army and navy in a new era. The Revolutionary War is often glamorized, and glossed over in American history textbooks. We know it as what George Washington fought, and where the British got a whipping. But we, as a people, know so little about what actually happened. It was a war. People died. Though casualty numbers were low compared to later wars, the percentage of soldiers killed or wounded remains appalling. Just like other wars, there were brutalities committed, on both sides. For the average day person, their normal lives were sharply divided between Patriots and Loyalists. Friend betrayed neighbor, as British forces fought to fight what they could not win. Additionally, the book puts in perspective how much the support of France did for the Americans. We often consider the Revolutionary War the war that we won, and that France helped with. In reality, French ships, troops, and officers played a huge part in winning the Revolutionary War. They brought discipline and order to the Continental Army, and provided the United States with a much-needed fleet (which was instrumental in effecting Cornwallis’ surrender). The support of France also eventually brought Spain and Holland into the war, which turned the war into a global conflict, making Britain more eager to sue for peace. I recognize that this book isn’t and won’t be for everyone. It’s long, and the descriptions of history can be boring at times. But the glimpse it provides into colonial America is invaluable, as is the honest retelling of the actual events of the Revolutionary War, something that seems to be lacking in schools today. I highly recommend any student of US History or even World History to read this book; I’ve benefited greatly myself from reading it. That sentence got me! I enjoy reading books about history; anything besides a textbook. Though I am more into World War-era books, I may have to give this one a try. This one’s great! I wasn’t exactly interested in it when I started it, but it was great. I highly recommend it! Being an armchair Revolutionary historian myself, I will have to keep an eye out for this one. American history told through British eyes is an interesting prospect. I’m hoping more history is read beforecomplete revisionism is complete.